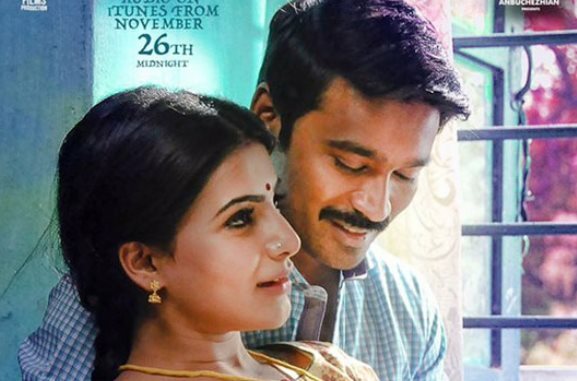 Dhanush has been regarded as the busiest person in the industry for 2015 as he has acted in four films and has produced 4 movies individually as well. While his critically acclaimed 'Kaaka Muttai' and 'Visaranai' are getting good acclaims, his other films like 'Maari' and 'Naanum Rowdy Dhaan' witnessed decorous response. Meanwhile, the opening day collection of Thanga Magan has fetched up to Rs.4 Crore in Tamil Nadu alone. Similarly, his previous production 'Naanum Rowdy Dhaan' featuring Vijay Sethupathi and Nayantara took over a decent collection of 2.25 Crore on Day 1. Well, it looks like the production house is striding a decent graph of spinning collections. Meanwhile, Dhanush's next film 'Kodi' will be produced by other producer and it is directed by Durai Senthilkumar with Trisha and Shamilee in female lead characters.